Grand reopening of Academy Hills Park, dedication of new public art piece & annual Fall Festival. A vital park in the NE Heights celebrates its grand reopening after a year of design work and 6 months of construction. The Academy Hills Park now features a new prescription trail, additional picnic tables and an improved irrigation system. 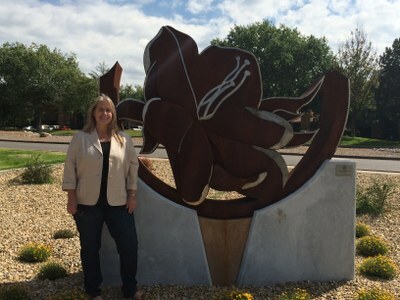 On September 27, 2014, Academy Hills Park Neighborhood Association and Albuquerque City Councilor Trudy Jones, District 8, welcomed neighbors and city officials at the Grand Reopening of Academy Hills Park to celebrate the new amenities and dedicate the new public art piece called “Desert Primrose” by Karen Yank. 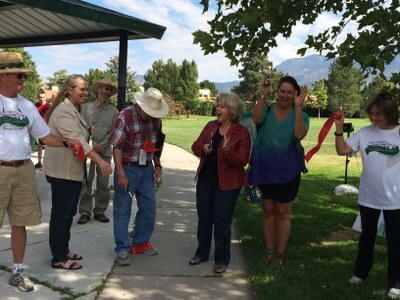 The dedication and grand re-opening were combined with the Academy Hills Park Neighborhood Association’s annual Fall Festival. Over 200 people attended the celebration with a community Bar-b-q, raffles and other family activities. 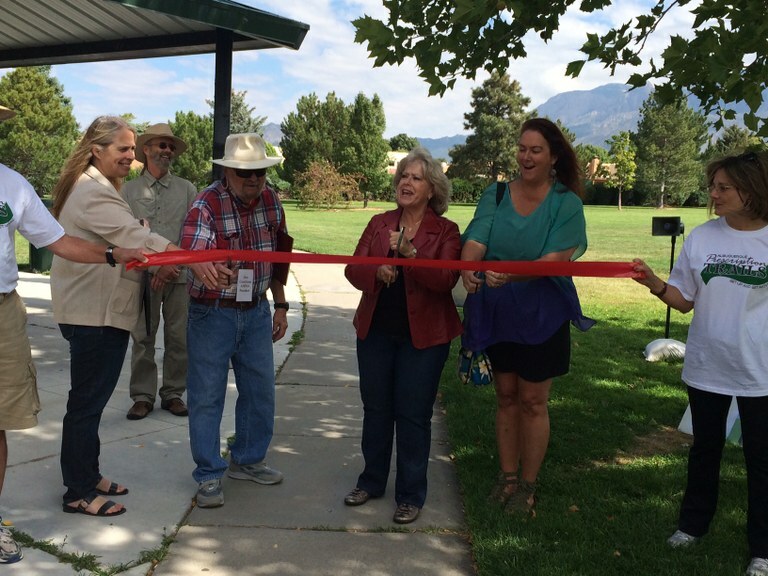 The new trail system at Academy Hills Park was recognized as a valuable prescription trail for the citizens of Albuquerque. These are trails that have been developed by a doctor and built by the City of Albuquerque and their partners to make sure citizens have the right grade and terrain to safely enjoy outdoor activities. Check out the news story: Specialized trails designed by doctors help people overcome medical conditions.